A new study just released took a look at the cost and challenges of fixing Michigan’s roads. “When the system is not as maintained as it should be, they pay far greater costs,” said Rocky Moretti of Trip, the national transportation research group that did the study. He gathered with the Oakland County Road Commission’s leaders and the Detroit Regional Chamber to share the results. He says in the Detroit area drivers are paying on average a whopping $2,544 because roads are in poor condition. 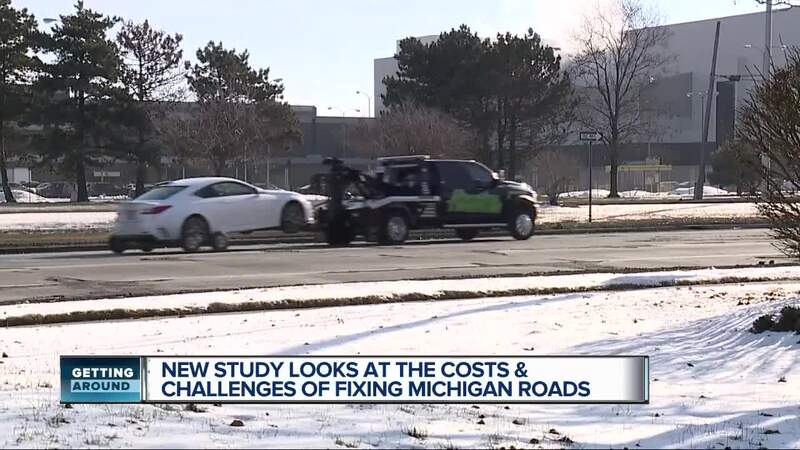 (WXYZ) — A new study just released took a look at the cost and challenges of fixing Michigan’s roads. “When the system is not as maintained as it should be, they pay far greater costs,” said Rocky Moretti of Trip, the national transportation research group that did the study. He gathered with the Oakland County Road Commission’s leaders and the Detroit Regional Chamber to share the results. He says in the Detroit area drivers are paying on average a whopping $2,544 because roads are in poor condition. So - where did he get that number? He says researchers added up the cost of vehicle repairs and depreciation, of time lost to congested roads, and even of accidents caused by poor infrastructure. “We want to drive on roads that are as safe as they can be. Unfortunately transportation leaders don’t have the resources to do that,” said Moratti. “This is a very expensive problem now. The fact of the matter though is it is not going to get cheaper by not doing something now. It is only going to get more expensive,” said Brad Williams of the Detroit Regional Chamber. Williams says he has been lobbying state lawmakers to invest now, before roads get worse. He says too often they are patching potholes where they should be reconstructing roadways because the money simply isn’t there. The study featured a long list of roads in need of repair, with right now, no funding whatsoever lined up. “If you don’t make that investment, the cost of not making the improvements are far greater,” said Moretti. “Every driver in Michigan is already paying a hidden tax on our roads, and the cost just went up. If we don’t raise the $2.5 billion we need to actually fix our roads the right way, with the right materials, the cost will continue to go up year after year,” said Governor Gretchen Whitmer (D-Michigan), in response to the study.